MMUA has provided management services to a number of members over the years. The first level of service is to help a utility maintain a fully-functioning operation after management turnover. 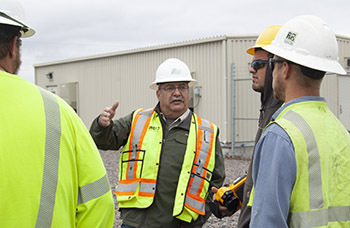 MMUA provides a fully-qualified manager to keep the utility operating at an optimal level until a new manager is hired. The next level of service is mentorship. You may have an individual on staff who has good potential but lacks the experience and training to move into the manager’s role without a support system. MMUA can provide a qualified manager to mentor the inexperienced manager and provide the support the new manager needs to be able to grow into the role and succeed. direct and coordinate project layout and development. For the short- or the long-term, MMUA is there to help your utility succeed.